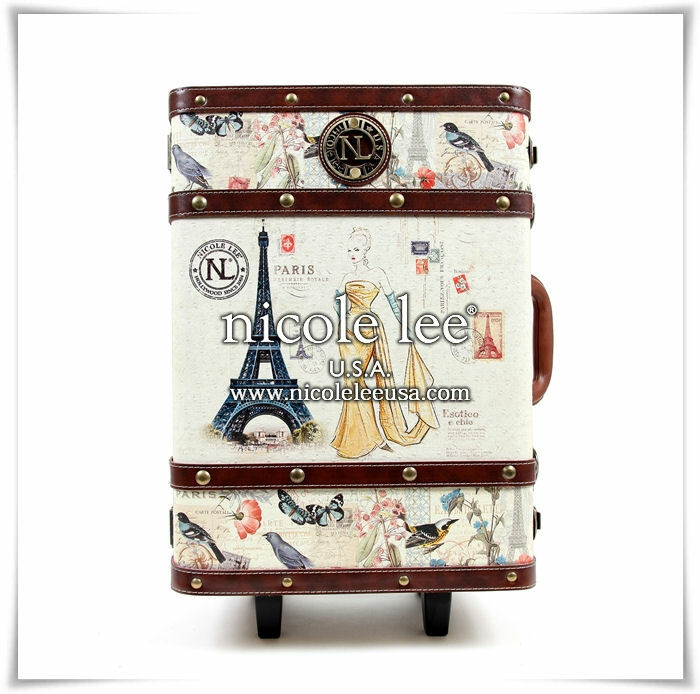 Nicole Lee’s Antique Luggage Collection is Back! Summer is officially here and now you can jet set in style with Nicole Lee’s Antique Luggage Collection. These fashionable, durable suitcases have the look and feel of the old school trunks but are modernized for today’s busy traveler and come complete with a pull handle and wheels. We’re simply in love and you will be too!